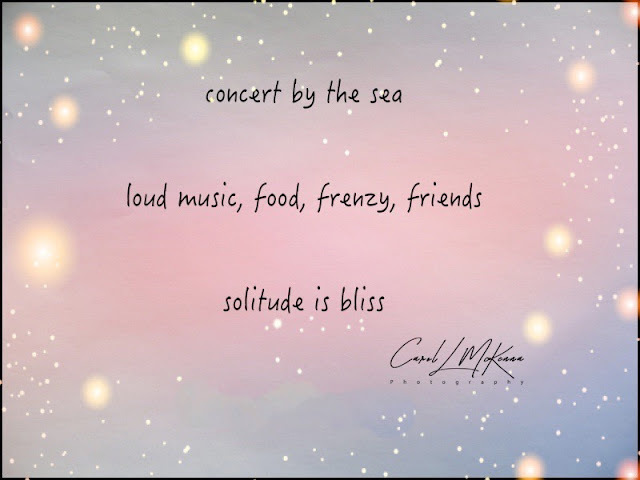 Oh, I'm with you, Carol: Solitude IS bliss! There's no bliss that's finer than solitude! Amen, solitude is bliss! But sometimes the concert is bliss too! I think it's hard to appreciate one without the other. Have a grand and quiet weekend! I agree, solitude is bliss. Ah, the peace of solitude after a wonderful party. I love both the solitude and the friends. A concert by the sea totally lovely. I can definitely appreciate solitude! 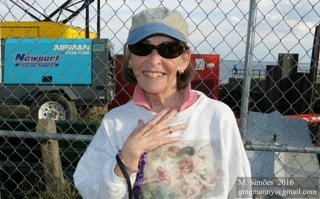 I feel that way after an outdoor concert -- always think I'll enjoy it more than i do! When it comes to a meditation walk on the beach, i'm with you! Both are different platforms that could be enjoyed, depending on the mood!